Is India capable of enhancing its climate change targets for 2020-2030? 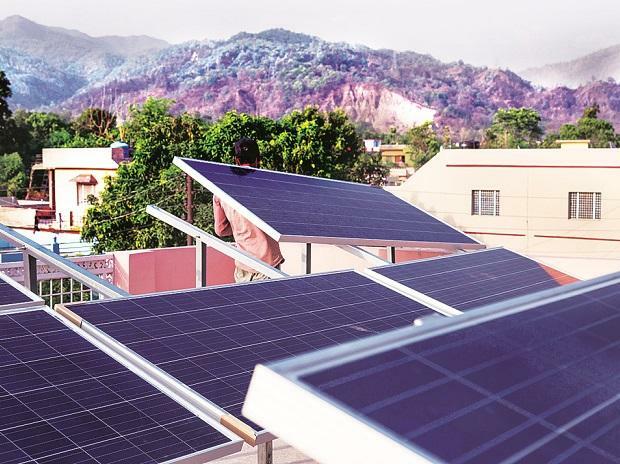 The National Bank for Agriculture and Rural Development (Nabard) Saturday signed an agreement with Green Climate Fund (GCF) to infuse $100 million into the project designed to unlock private sector initiatives for the creation of rooftop solar power capacity across India. The $250 million project, to be executed by Tata Cleantech Capital Ltd, will receive the GCF support through Nabard, which is the National Implementing Entity (NIE) for the UNFCC-promoted Fund that supports the efforts of developing countries to respond to the challenge of climate change, the bank said in a statement. The agreement with GCF was signed at an event held on the sidelines of ongoing COP24 in Katowice, Poland, it said. Notably, India, which hosts International Solar Alliance, has an ambitious vision of creating 100 gw solar power capacity it said, adding Nabard has been financing solar power projects and installations in various other programmes as well. Apart from GCF, Nabard is the NIE for Adaptation Fund of UNFCC and National Adaption Fund for Climate Change (NAFCC). These funding mechanisms are being used to aid the interventions of several state governments in the areas of water, irrigation, fisheries, dairy farming, renewables in agriculture, coastal ecosystem, etc.